Another salad, with a hat tip to Audrey for introducing the delicious combo of beets and rosemary to me. 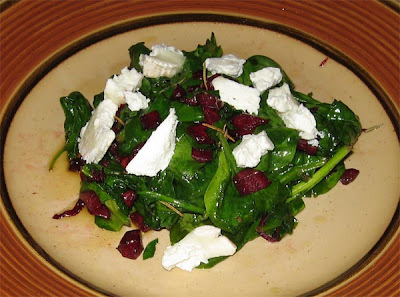 Sauteed beets in olive oil, rosemary and salt, add spinach to pan and wilt. Top with a good chevre (Bucheron here).